Welcome to Healing T’ai Chi. Yup. It’s time for a new semester. 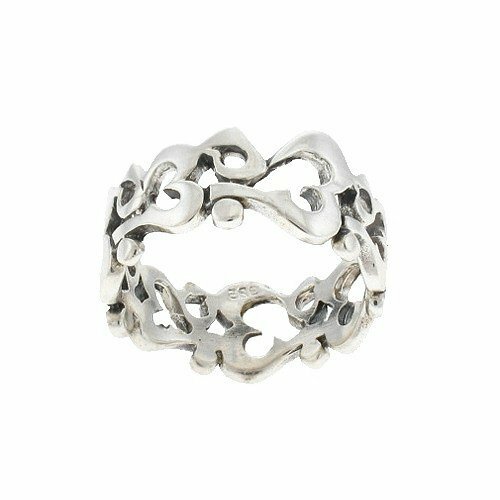 Summer certainly went by quickly! We will be back next week with an all new exercise and acupressure point. 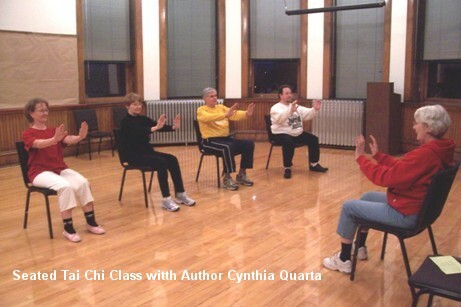 In the meantime, please download the Tai Chi in a Chair ebook and keep practicing. The following exercise will help to strengthen your back muscles and abdominal muscles. This exercise can be used for degenerative disc disease but caution must be taken against damaging the back further. As always, consult your physician and/or physical therapist before trying any of these exercises particularly after surgery. Begin by lying on your back in bed or on the floor. Take 3 to 6 slow breaths in and out through your nose concentrating on the movement of energy through your body. Bend your knees as you breathe in through your nose then lift one leg off the mattress about 3 inches as you breathe out through your mouth. Lower that leg back to a bent position, foot resting on the bed. Lift your other leg about 3 inches off the bed as you breathe out through your mouth. Continue alternating legs as though marching in place for about 6 lifts with each leg. Gradually increase the number of “marching” steps as you are able. However, the point isn’t necessarily to continue increasing the numbers but, instead, to be consistent in your use of this exercise if you find it beneficial. Click on the illustration above from Michael Reed Gach’s book, Acupressure’s Potent Points, to enlarge your view. This pressure point is midway between the back edge of the outer anklebone and the Achilles tendon at the back of your leg. Press firmly on this point (sit on your bed and bend your knee so that you can reach this point comfortably) for no less than a full minute. If you wish, you can change legs and use the same acupressure point on your other leg for the same amount of time. Use frequently when you are experiencing back or sciatic pain. Benefits: This highly effective point will relieve the pain of sciatica, a back ache, thigh pain and rheumatism. In this exercise, we will be turning our heads to the side and then tilting upward to look toward the corner where the ceiling and the wall meet. Move slowly so you don’t injure your neck. If you feel any resistance, stop and return your head to the center forward-facing position. Begin as usual sitting straight with your feet flat on the floor, shoulder-width apart. Breathe slowly and thoughtfully in and out through your nose 6 times. Turn your head toward your left shoulder slowly and tilt your head up and toward the corner of the room where the wall and the ceiling meet as you breath out either through your nose or your mouth. Return your head to the front-facing position as you breathe out. Breathe in again. As you breathe out, turn your head toward your right shoulder and tilt your head upward toward the ceiling in right corner. Breathe out again as you return your head to the forward-facing position. Continue to turn and tilt your head for a total of 12 times (6 in each direction). 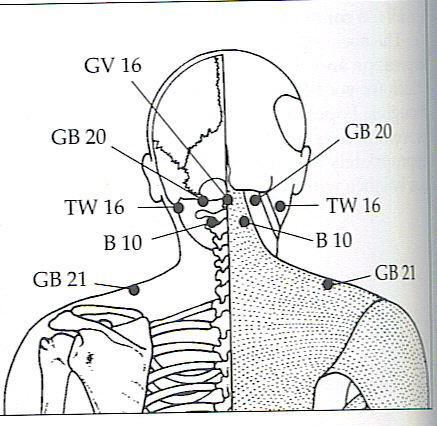 Click on the illustrations above from Michael Reed Gach’s book, Acupressure’s Potent Points, to enlarge your view. 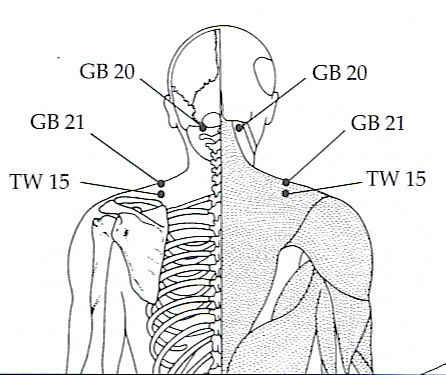 Locate the acupressure point labeled GB 20. Press firmly on these two points for no less than a full minute. You may use these points as often during the day as necessary. Benefits: This effective acupressure point relieves arthritis in the shoulders and neck. It will also alleviate a headache or a stiff neck. For this week’s exercise we will be moving the head in a circle to loosen the muscles of the neck. These circles are half circles only. Bend your head to your shoulder then down to the chest then back up to the other shoulder and return to the upright position. Don’t tilt your head to the back-only to the chest and then upright. 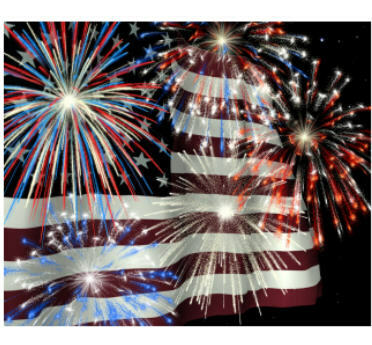 Again, if you have had an injury to your neck or surgery on your neck or even on your shoulders, please check with your health care provider before attempting this exercise. Begin sitting as usual with your legs shoulder-width apart, feet flat on the floor, head upright and shoulders pressed downward. Breathe in through your nose and tilt your head over your right shoulder. Circle your head down toward your chest as you breathe out through your nose. 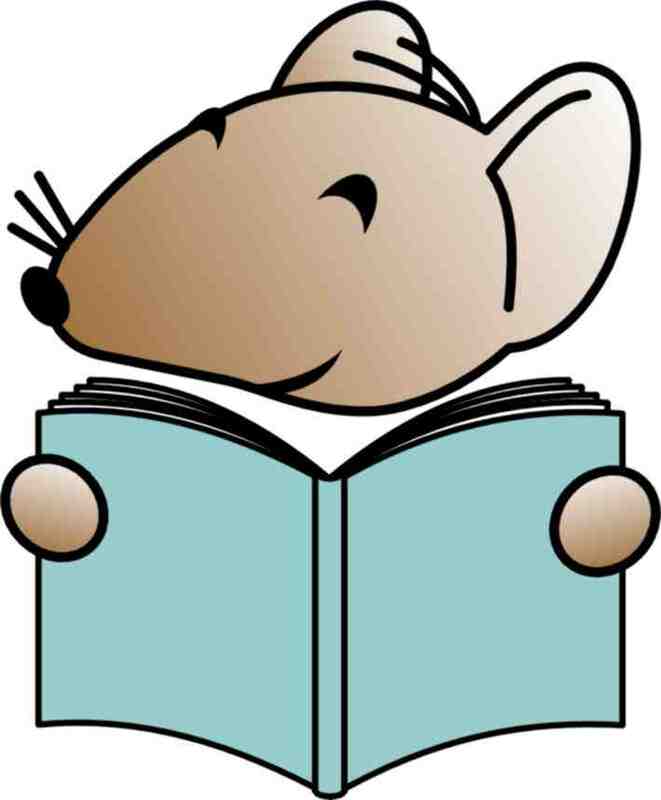 Halfway through the arc, begin breathing in again through your nose and swing your head slowly to the left shoulder and then return to the upright position. Repeat steps #2 through #4 for a total of 6 times. Reverse the direction of your circle by tilting your head toward your left shoulder this time and completing 6 arcs left to right returning each time to the upright position. 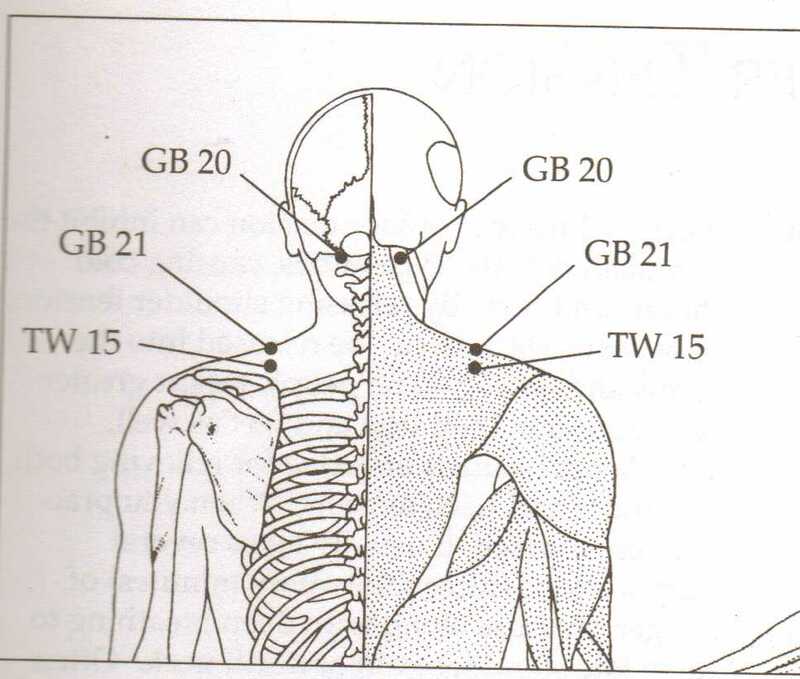 Locate the point labeled GB 20. 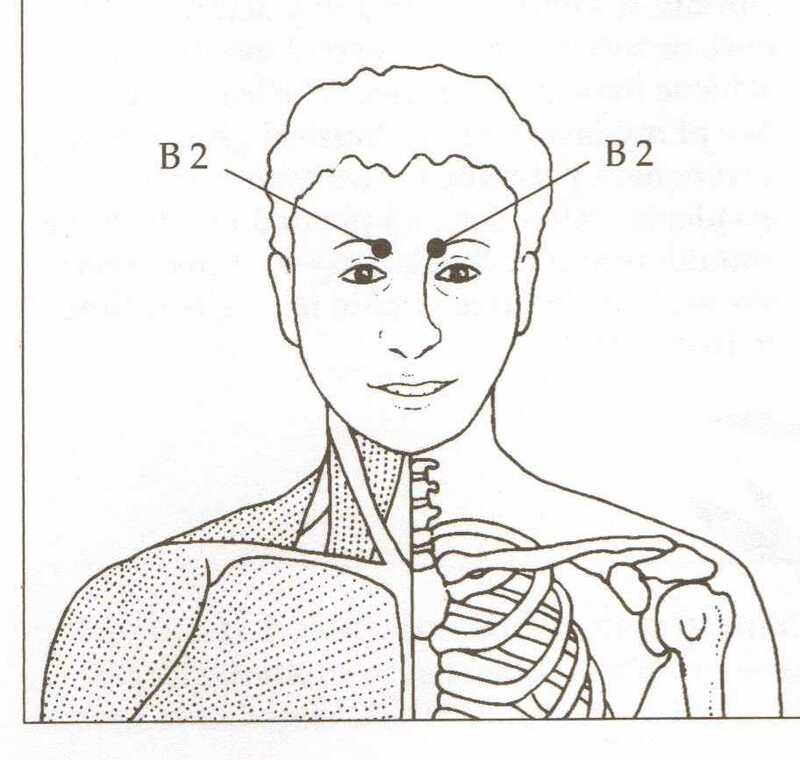 Press firmly with your thumbs on these points where there is a hollow on each side of the neck at the base of the skull between the two large muscles that support your head. Hold your thumbs on these acupressure points for 1 to 3 minutes or 3 to 5 minutes if you have a particularly stiff or sore neck. Sign up for instant delivery of each new blog post to your email inbox by filling out the form at the top right hand column.